I love decorating for autumn, which I call autumn instead of fall because as my mother says, “autumn doesn’t just describe a season but a feeling as well.” Fall is so full of color and abundance of life as the world gets ready to hibernate. Why not bring that life indoors? 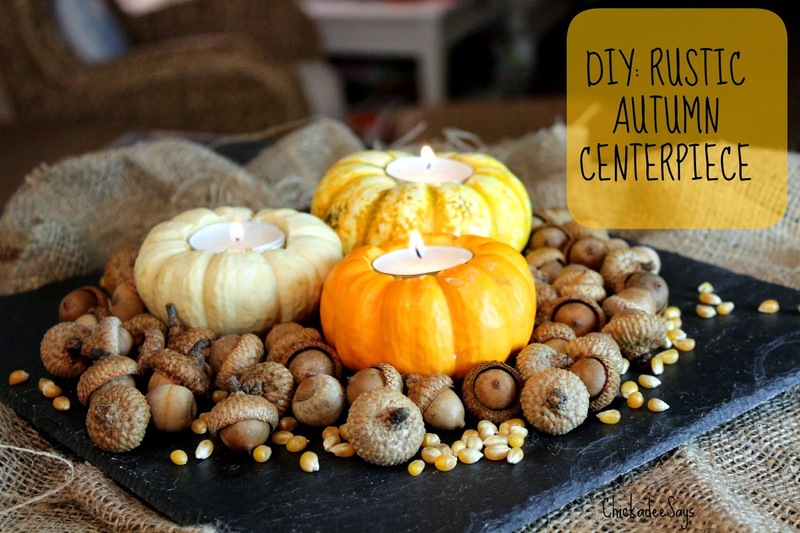 With just a few supplies, many of which you already have or can be found in your backyard, you can create a centerpiece that celebrates autumn and bring the beauty of the outdoors in. 1. 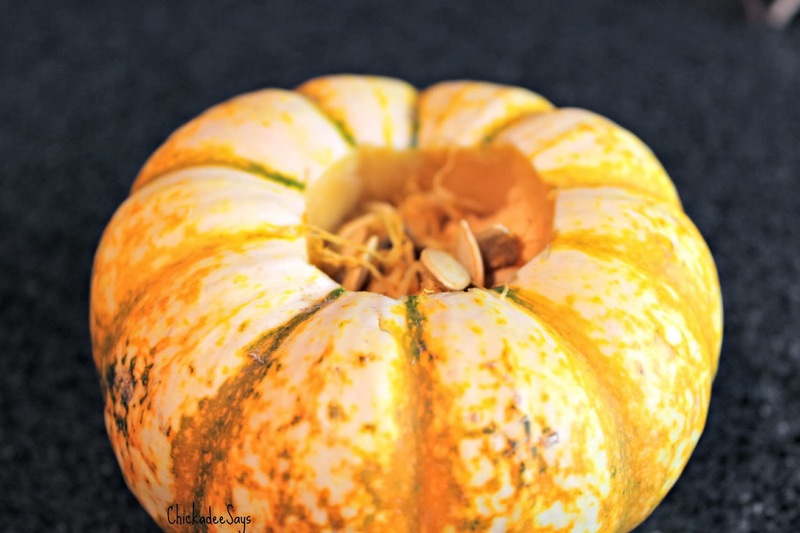 With a very sharp knife carefully carve the stems out of your pumpkins. You want to cut a hole about the same size as the circumference of a tea light. 2. Using your spoon scoop out the seeds from each pumpkin. 3. 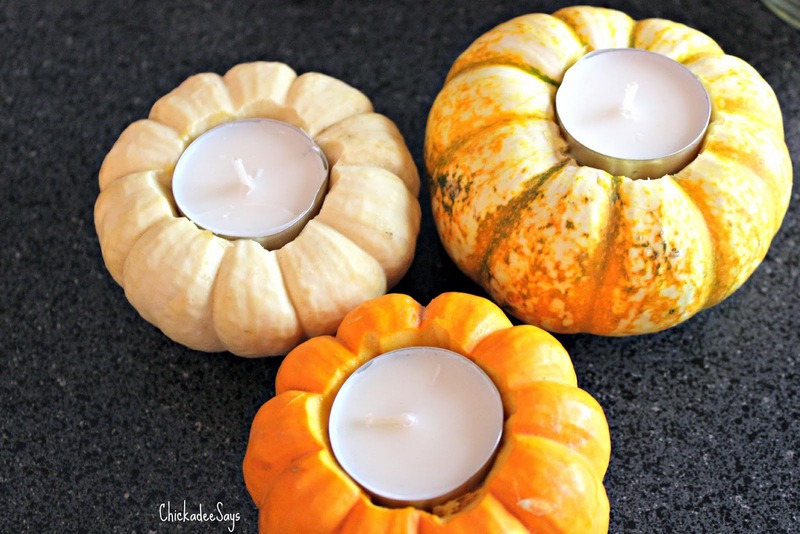 Use your knife to adjust the size of each pumpkin’s hole to fit the tea lights. 4. 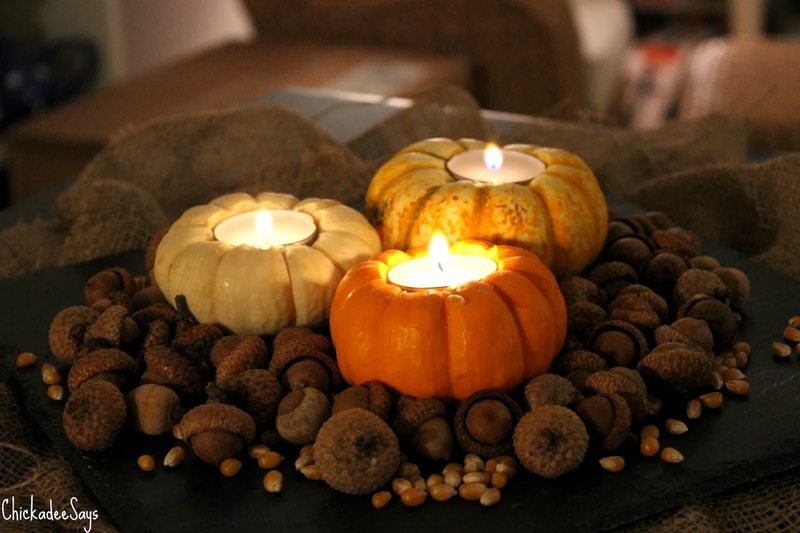 Place tealights in each pumpkin-hole pressing down until the top of the tea light is flush with the pumpkin’s surface. 5. Place burlap messily on the surface where you plan to display your centerpiece. 6. Place slate on top of the burlap, so that the fabric shows on every side. 7. 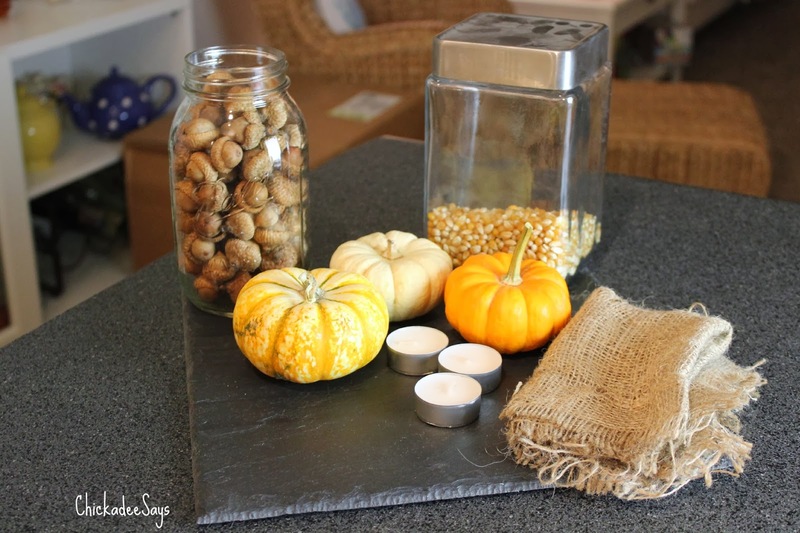 Place pumpkin candles in the center and surround with acorns and then popcorn kernels. What are your favorite fall decorations? Do you use nature inside? Let me know in the comments below!